The growing popularity of graphic novels makes them an increasingly important part of your school or public library's offerings. The Graphic Novels Core Collection database highlights more than 5,000 titles for all ages over three recommendation levels. The collection includes descriptive and evaluative annotations and cover art. For all of your collection development and maintenance, general reference and readers’ advisory needs, Core Collections (formerly H.W. Wilson's Standard Catalogs) are reliable guides to help librarians build and maintain well-rounded collections of the most highly recommended reference, non-fiction and fiction books. Learn more about Core Collections. Ask your EBSCO sales representative for more information. Recommended to librarians and libraries at all levels. Easy to use, economical and time-saving for librarians and paraprofessionals working on collection development. 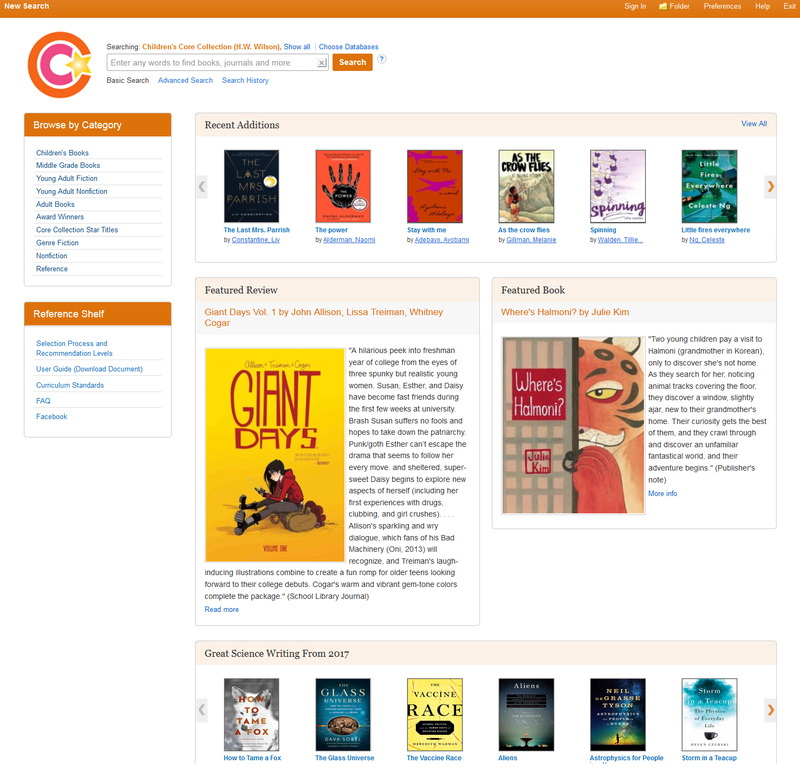 The Graphic Novels Core Collection database covers a variety of genres including adventure, biography, fantasy, superhero, horror, mystery, romance, science fiction and more. Standards for rating materials by age appropriateness are strictly applied. This content can be used for collection development, readers’ advisory and curriculum support.